Discontinued colour ONLY two sets left. Clean modern lines with style and functionality. Quality materials and fittings. 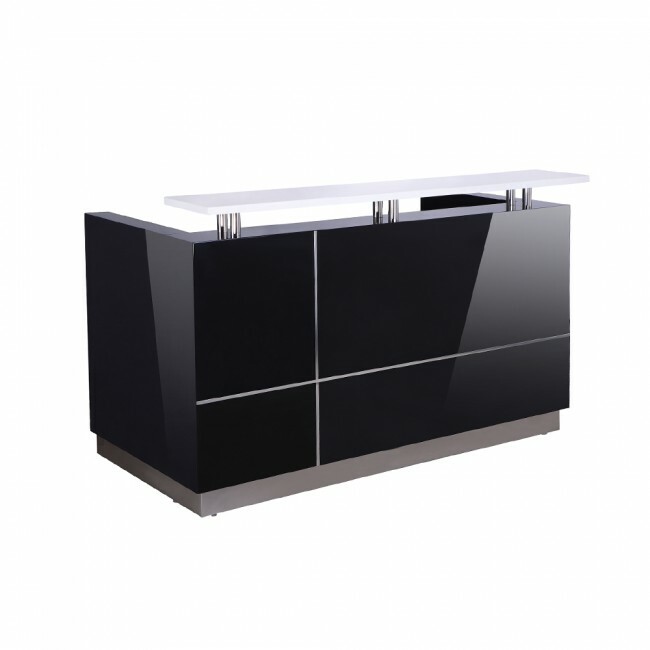 Counter body in finished in High Gloss Black 2 Pack paint with feature aluminium strips. White desk top, jade white stone hob and chrome kick plate. 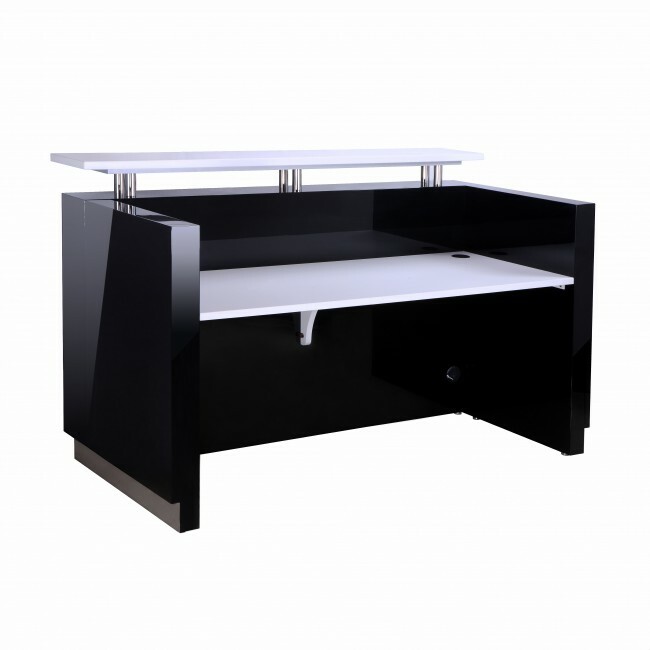 It creates a functional professional reception area for any office or shop. It is constructed using a sturdy cam dowel construction. It is 1800 mm wide so wide enough for 2 people or you can purchase pedestal and return to co-ordinate with this unit. It is 1150 high at the front so that it provides privacy but most people can easily see over it.